Generation Z plans on going to college or living in a city for a while before settling down to get married and buy a home. Face-to-face interaction and advice and recommendations from friends and family members is important. Photos, infographics and interactive maps will help them make purchasing decisions. While real estate agents and brokers are eagerly trying to decipher the inner workings of the millennial generation, Better Homes and Gardens Real Estate has jumped beyond to get a head start on Generation Z. 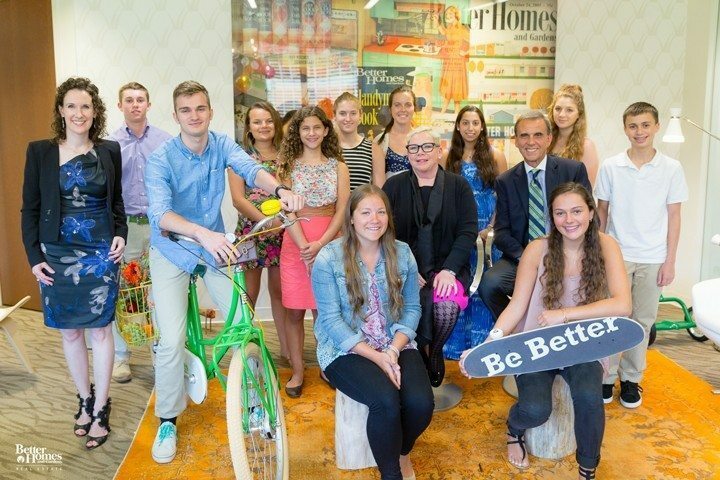 The company recently had a gathering of 13- to 18-year-olds at its Realogy headquarters in Madison, New Jersey, to get some insight on the teenage group’s homeownership mentality plans and viewpoint of real estate agents. The study brought together 11 teens within the age bracket and top executives from Better Homes and Gardens Real Estate and Realogy. A video interview, Q&A session and brainstorm session took place over the course of the day, during which topics like shopping habits and customer service were dissected. Courtesy of Better Homes and Gardens Real Estate. Generation Z teens have grown up immersed in technology and having access to on-demand information, even more so than the millennial generation. The group, however, still placed value on traditional homebuying practices, including working with an agent face to face and getting recommendations from personal sources. The buying habits of teens — most notably the differences between significant and insignificant purchases — was a common topic. But regardless of the size of the purchase, insight from others was important. More significant purchases warranted loads of research and input from people they trusted like parents and family members. Teens want to feel confident in their purchasing decisions. While this group is not too far off from homeownership, they are also interested in living in urban centers for some time before settling down and buying a home. But seeing the weight of student debt on the generation before them, they are taking loan payments into consideration. A stable job was an important piece of the puzzle. When it comes to buying a house, Gen Z wants to work with an agent who has been recommended to them by a trusted source. They plan to do a lot of the work themselves through online research of both the agent and the housing market conditions. They look for infographics and photos — the more, the better — and interactive components or features that can help them get a feel for a certain neighborhood before getting there. Although this was only a small group, the results show that Gen Z isn’t as detached and distant as some may think. The dream of getting married and owning a home are still prominent among these teenagers — they would just like to get a few things taken care of beforehand. The study group didn’t reveal anything groundbreaking about the generation — and the industry should rest assured there will be real estate agents for quite some time.